Not many people in the world can say they’ve helped bring a phone to market. Even fewer can say that they’ve done it the way Mozilla does it. As one of the first countries in Latin America to launch Firefox OS, our team in Colombia has achieved something very remarkable and unique. They turned a wall in the center of their capital into a beautiful mural to promote Firefox OS, held a successful press conference for the Colombian press and visited Movistar stores to help educate people about the new Firefox OS. Keep scrolling to learn more about this amazing team. 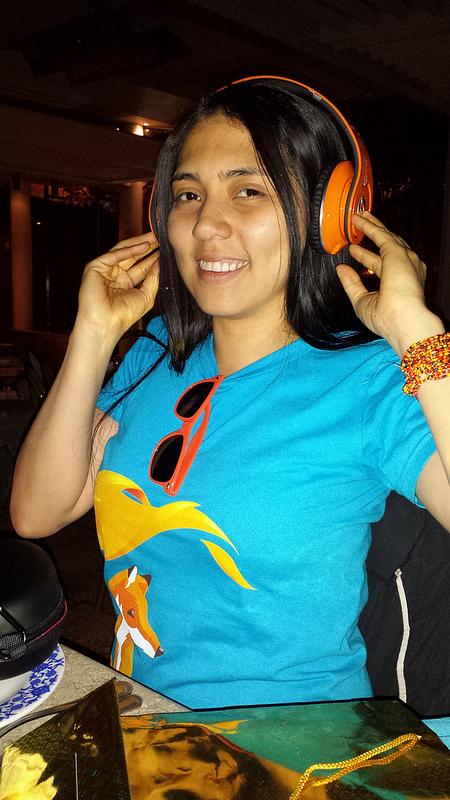 Look at all her cool FirefoxOS gear! Gloria is the Team and Communications lead. With the help of her friendly cat, she takes great pride in organizing all the different Mozilla events in Colombia. You can constantly find her and her cat on different Mozilla Rep meetings and Mozilla Hispano mumble sessions. 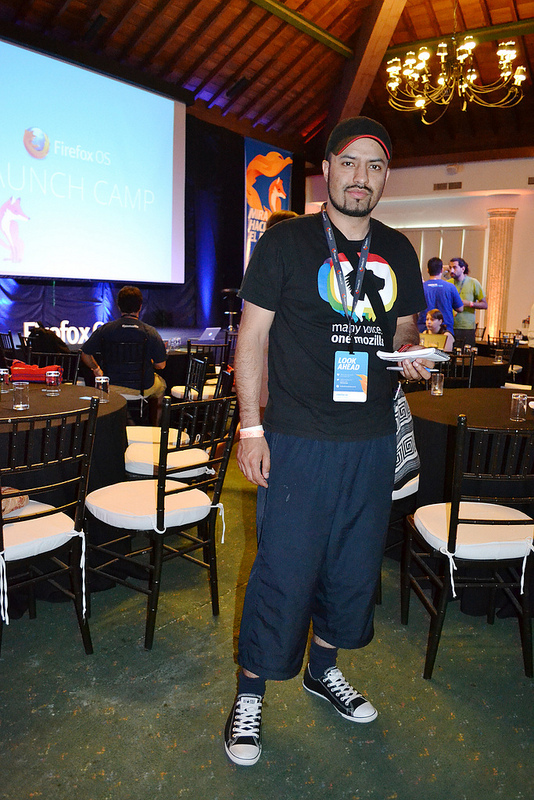 Here is Fredy posing at one of our FirefoxOS Launch events. 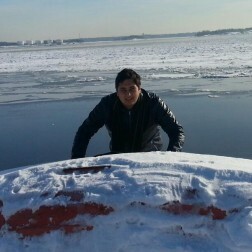 Fredy is the Marketing Lead for the Colombia team. He is the responsible for the success of the biggest open-source event in Latin America (FLISOL). And with his long history of Open Source community and projects involvement don’t be surprised that he can recite the Mozilla manifest without reading it in both French and Spanish. Here is Jefferson keeping warm with Firefox in the middle of the snow. Jefferson is our Social Media lead, Local community founder in 2008 and Mozilla education project coordinator in Mozilla Hispano. 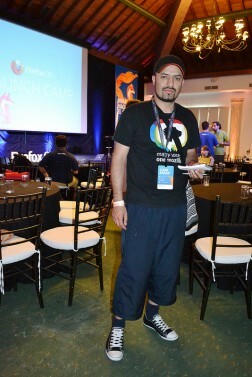 He enjoys spreading the word of Mozilla and the open web using social media platforms. He even manages to do all of this for the Colombia team from Paris, France! 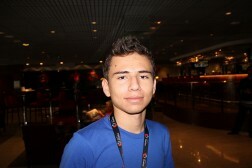 Gio, the youngest member of our team repping FirefoxOS. Giovanny is the Training Lead of the Colombia team. 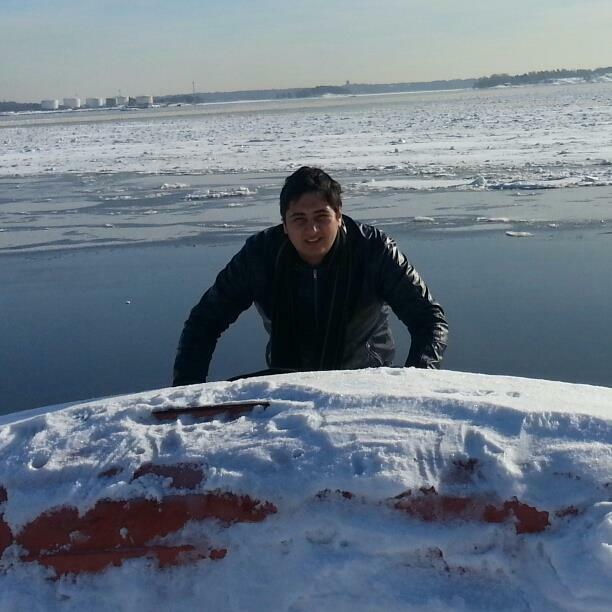 He is a hacker, a mentor in Mozilla Hispano, a marketplace reviewer, a Mozilla tester and a contributor in Bugzilla. He even won a DevDerby. When the Colombia team goes to happy hour to celebrate their accomplishments, Giovanny loves to indulge in a tall glass of Orange juice since he is only 16 years old! If you can’t see the embdeed video of the Firefox OS mural in Bogota, Colombia check it out here. If you want to take a look at more pictures from our events in Colombia you can click here.